You can add these optional items to your course About page. For more information, see Creating a Course About Page in Studio. Optionally, you can also require that learners complete a specific course before they enroll in your course, or that learners complete an entrance exam before they access course content. This information also appears on the About page, but you specify these prerequisites on the Schedule & Details page in Studio. For more information, see Prerequisite Courses and Require an Entrance Exam. You add skill and knowledge prerequisites in Studio. For more information, see Creating a Course About Page in Studio. When you require that your learners pass a particular course before they enroll in your course, learners see information about course prerequisites on the course About page. You enter this information in Studio. For more information, see Prerequisite Courses. You can require your learners to pass an entrance exam before they access your course materials. If you include an entrance exam, learners who enroll in your course can access only the Entrance Exam page until they pass the exam. After learners pass the exam, they can access all released materials in your course. You enter this information in Studio. For more information, see Require an Entrance Exam. After learners complete the entrance exam, they must select Entrance Exam again or refresh the page in their browsers. 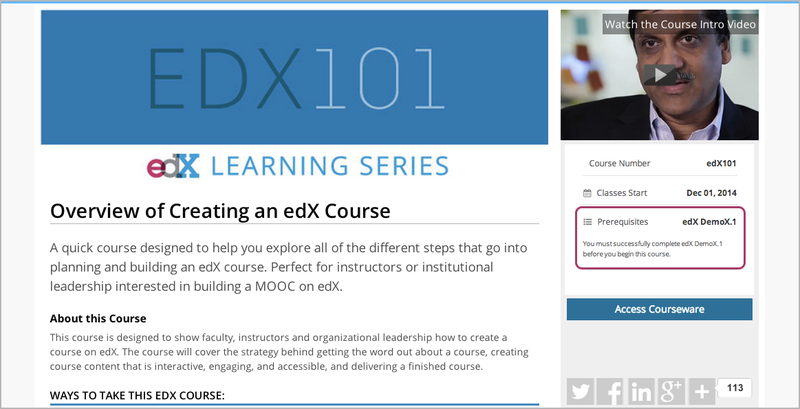 After the page refreshes, learners can access all currently available course content. You can add the syllabus to your course About page. For more information, see Creating a Course About Page in Studio. You can add the FAQ to your course About page. For more information, see Creating a Course About Page in Studio. You can add the learner testimonial to your course About page. For more information, see Creating a Course About Page in Studio. You may need to be able to make certain custom information about your course available to entities such as customer relationship management (CRM) software, a marketing site, or other external systems. This information is not visible to learners. For example, you might want to make the following information available. You add this information as a JSON dictionary in Studio. 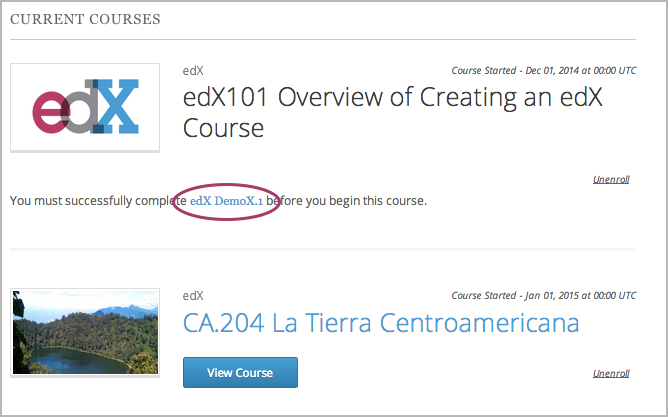 For more information, see Add Course Metadata.